The first release from the new House Sparrow Press is a beautifully produced book/CD combo called A Sparrow’s Journey: John Berger Reads Andrey Platonov. The book contains a short story by Platonov (1899-1951) called “Love for the Motherland, or A Sparrow’s Journey: A Fairytale Happening,” along with a piece of writing by Berger that is obliquely about Platonov called “That Have Not Been Asked: Ten Dispatches about Endurance in Face of Walls,” a brief essay about Platonov’s story by Robert Chandler (who co-translated it with his wife Elizabeth), and an even briefer piece about discovering this previously untranslated story by Gareth Evans, editor of House Sparrow Press (among other things). Platonov’s story about a fiddler and a sparrow was written in 1936 in homage to Alexander Pushkin in advance of the one hundredth anniversary of his death in 1937. 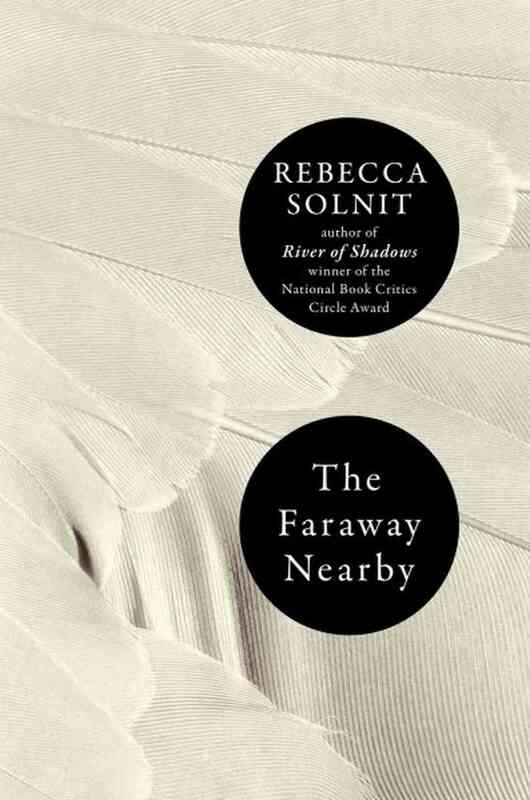 A Sparrow’s Journey is one of those publications that remind you how wonderful it is to hold and read a book. Smartly designed and nicely printed on thick paper, handling this small volume is like holding a sparrow in your bare hands. 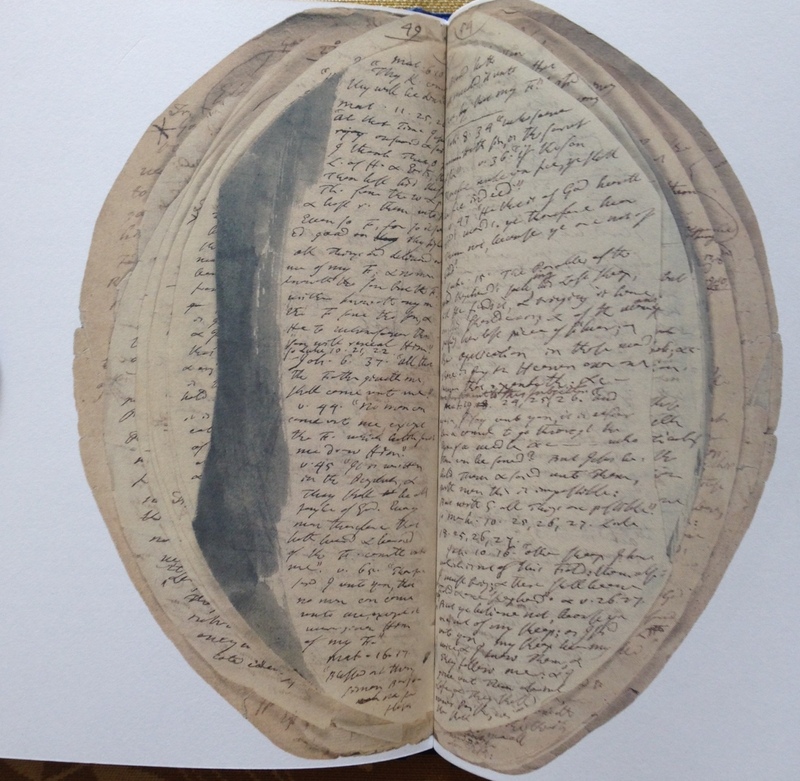 The accompanying CD of a recording of Berger reading the Platonov story is housed in it’s own paper folder with artwork by Georgia Keeling. The story fits into 25 slim pages but Berger takes a full 44 minutes to read it in his quiet, luscious, and deliberate voice and I didn’t want the reading to come to an end. Somehow, Berger’s reading gave me insights into Platonov’s story that I never suspected were there. More information about A Sparrow’s Journey can be found at the publisher’s website. As I was writing this yesterday, word spread that John Berger had died at the age of ninety. Do yourself a favor and get this publication and listen to his voice over and over. 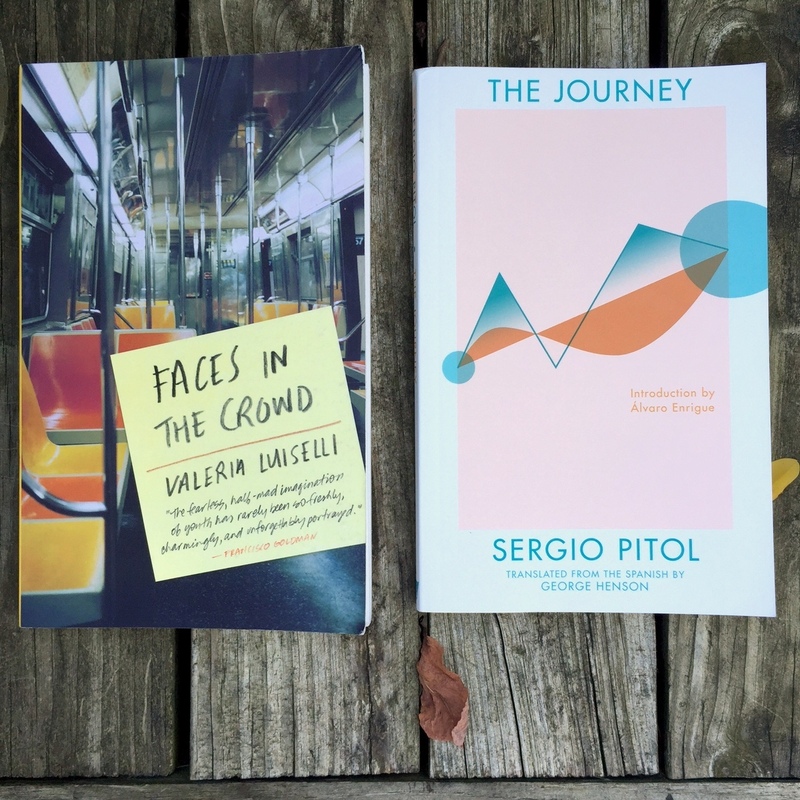 Today, two very different books by Mexican writers: Valeria Luiselli’s Faces in the Crowd (Coffee House Press, 2013) and Sergio Pitol’s The Journey (Deep Vellum, 2015). The subway, its multiple stops, its breakdowns, its sudden accelerations, its dark zones, could function as the space-time schema for this other novel. When there was once again darkness outside the window, I saw my own blurred image on the glass. But it wasn’t my face; it was my face superimposed on his – as if his reflection had been stamped onto the glass and now I was reflected inside that double trapped on my carriage window. Two books, both by French authors. One about cinema, one about photography. 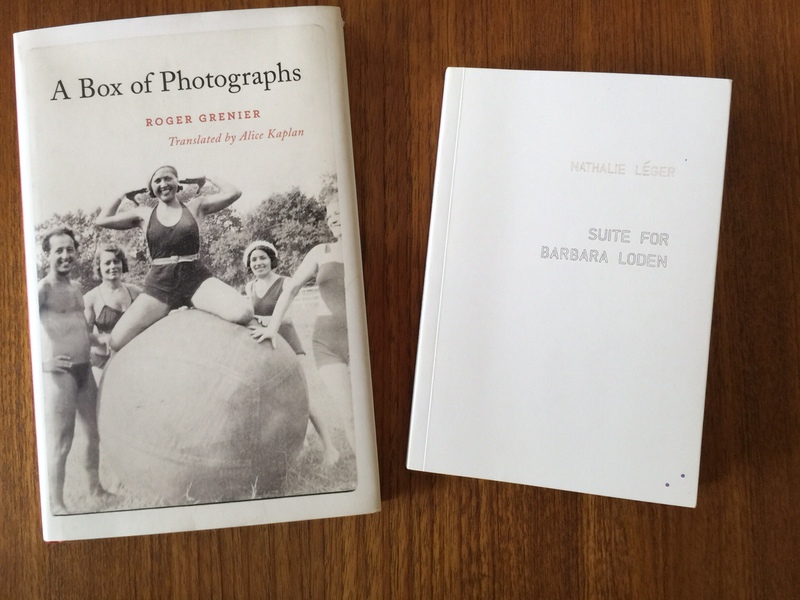 A longtime Vertigo reader sent me a copy of Nathalie Legér’s newly published Suite for Barbara Loden, for which I am extremely grateful. Barbara Loden was an American actress, whose second husband was the film director Elia Kazan. Loden wrote, directed and starred in the 1970 movie Wanda. Shot in cinéma vérité on a ridiculously low budget, Wanda retells the real-life story of a bored coal-miner’s wife who gets involved with another man and helps him commit a bank robbery. The robbery fails, the man is killed, and Wanda seems relieved to be sentenced to prison. When Legér was asked to write a brief film encyclopedia entry about Loden, she found herself doing far more research than necessary. Convinced that in order to keep it short you need to know a great deal, I immersed myself in the history of the United States, read through the history of the self-portrait from antiquity to modern times, digressing to take in some sociological research about women from the 1950s and 1960s. I eagerly consulted dictionaries and biographies, gathered information about cinéma vérité, artistic avant-garde movements, the New York theater scene, Polish immigration to the United States; I did research into coal mining (reading up about mining exploration, finding out about the organisational structure of the mining industry, collecting data on coal deposits in Pennsylvania); I knew everything there was to know about the invention of hair curlers and the rise of the pin-up model after the war. I felt like I was managing a huge building site, from which I was going to excavate a miniature model of modernity, reduced to its simplest, most complex form: a woman telling her own story through that of another. 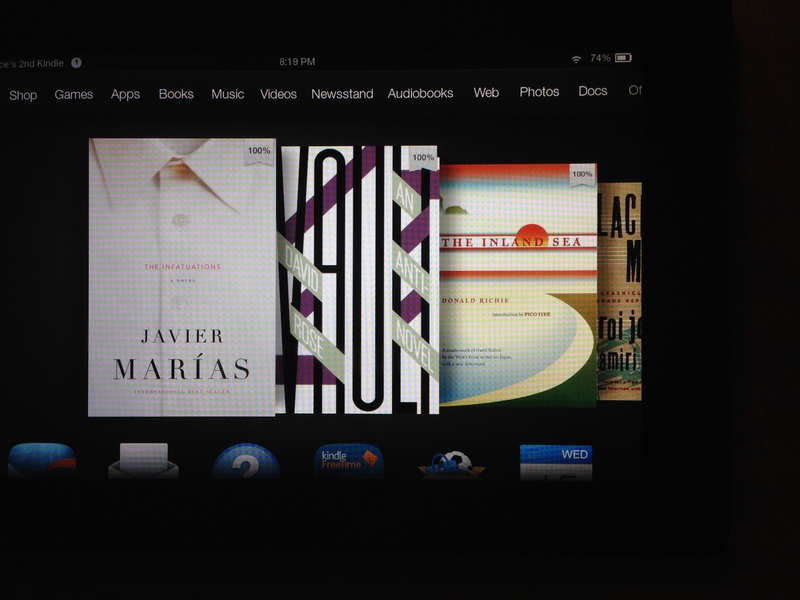 Three recent books from my Kindle. Therein was to be sought the reason and the cause why things are sometimes, mostly sometimes, rather often, sometimes rather often, mostly rather often, sometimes mostly mostly, mostly mostly not as they should be. Small books, slim books, often with lots of white space on the page due to wide margins and generous leading, hold a certain promise. They suggest a quick read, a snack rather than a meal. But small books – like the two below – can often be high-powered distillations, full of suggestions rather than answers. Both of today’s books deal with appetites and desires that become obsessions. 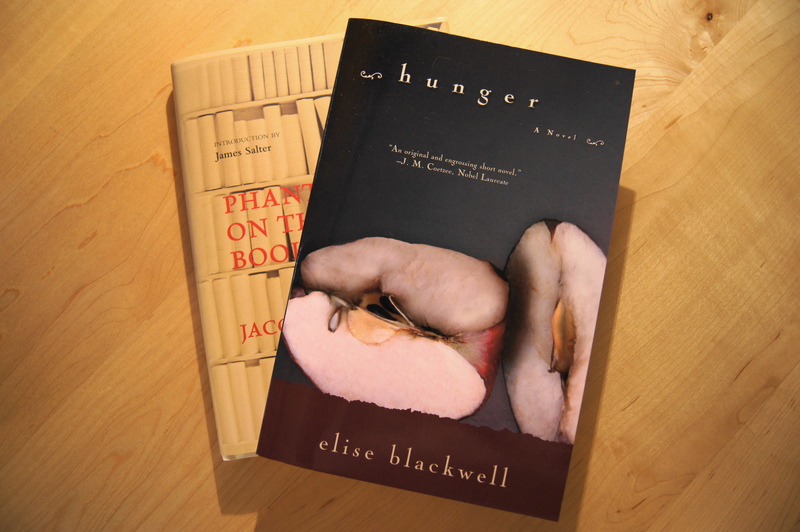 Elise Blackwell’s 2004 novel Hunger (my 2008 softcover edition is from Unbridled Books) centers on a man of many appetites (mostly women and food). He’s a scientist at a Soviet institute dedicated to saving and studying the world’s plant seeds. Hunger is set in Leningrad in World War Two at the time of the German siege, which lasted two and a half years at a cost of a million and a half lives. As the siege and resulting famine wear on, the scientist is tempted and then obsessed by the very seeds he has circled the earth to gather and protect. 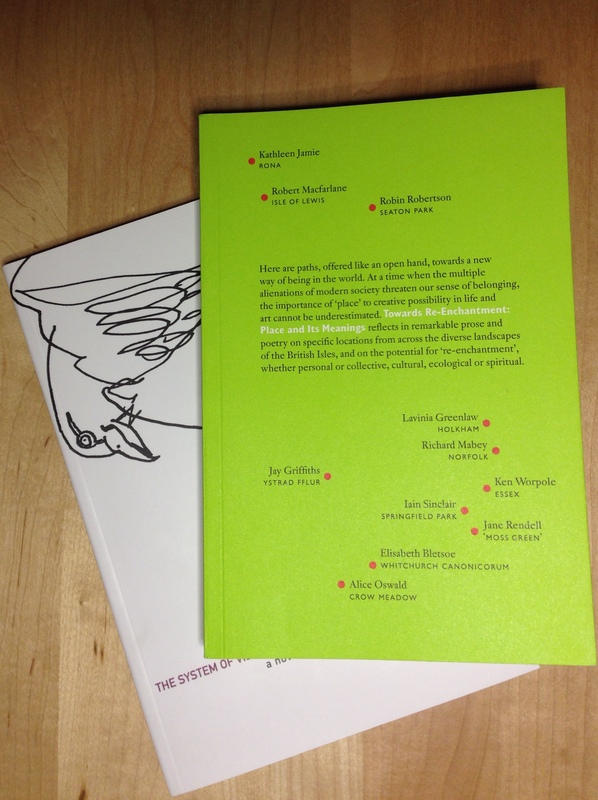 Blackwell’s taut language focuses on the visual and the physical. 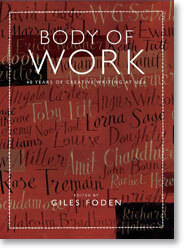 Ideas and emotions are all embedded in objects and bodies. Cold in the skin. Cold in the bones of the arm. Cold in the eyes. Feet gone from feeling, from knowledge. There was pain only in odd places, centered on a heavy, aching groin but otherwise intense in its asymmetricality, the finger of one hand, two knuckles on the other, a nostril’s interior, a shrapnel-sized piece of a jawbone, a small concentration in the kidney. Jacques Bonnet’s recently translated book Phantoms on the Bookshelves is so slim it almost eluded my eye in the bookstore. I’m a little wary of books that extol the virtues of books and plumb the curiosities that line the author’s library. Was this tiny book going to be Alberto Manguel-lite? No, as it turns out. Bonnet (described as “a publisher, translator, and the author of novels and works of art history”) really uses books and he really know his books. 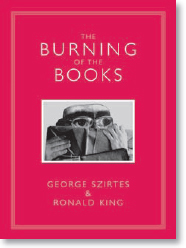 Early on he asks himself “But why keep tens of thousands of books in one’s private library?” The answers – and there are many of them – make for delightful and sometimes thought-provoking reading. It’s hard to imagine anyone finishing this book who isn’t impelled to head for the nearest bookstore as soon as possible with the intention of adding more books to their own library shelves.